Scott Pruitt, administrator of the U.S. Environmental Protection Agency, turned his sights this week on a nearly half-century-old federal waiver that allows California to pursue its own, tough tailpipe emission standards, and allows other states to opt in to California’s standards rather than federal ones if they choose. The waiver has allowed California, the U.S. state with the most people and the biggest economy, to steer the rest of nation toward tougher limits on car and truck emissions that pollute the air and change the climate. Pruitt said this week the agency will work with all states, including California, to set new pollution and mileage standards for gas- and diesel-powered vehicles. Here’s a look at California’s unique waiver from federal emissions standards for cars, why it matters to the rest of the country, and what could happen if the Trump administration moves against California’s ability to set its own vehicle-emissions standards. A combination of climate, geography and a lot of cars and trucks has given California some of the worst smog in the country, especially in the Los Angeles basin and other inland valleys. To fight that, California has regulated vehicle-tailpipe emissions since before 1970, when the EPA and the federal Clean Air Act came into force. 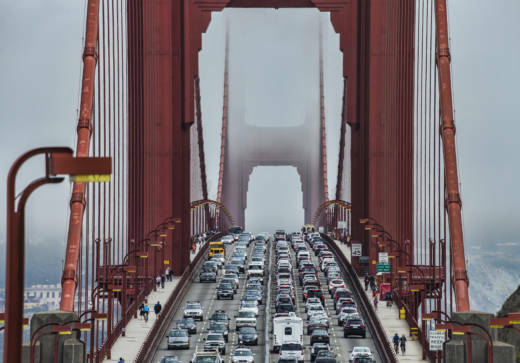 Because of that, Congress wrote an exemption into the landmark Clean Air Act: California could seek waivers to set its own limits for pollutants from cars as long as its rules were at least as tough as federal standards. Since then, Democratic and Republican administrations have renewed California’s waiver dozens of times. A Trump administration challenge would revive an abortive 2007 effort by the Bush administration to block California’s power to set its own emissions rules. Why Does the Waiver Matter? While California’s waiver is unique, at least 12 other states in the Northeast and elsewhere have chosen to opt into the tougher tailpipe emissions standards that California sets. That means up to 40 percent of cars on the road nationwide follow California’s emissions standards. Gasoline and diesel exhaust is a main source of pollutants and gases that endanger public health and are changing the climate. California Gov. Jerry Brown, a Democrat, wants to reduce the state’s climate-changing greenhouse-gas emissions 40 percent below 1990 levels by 2030. Receiving continued federal waivers for progressively tougher state emissions standards will be a critical part of that. Currently the federal and California standards are the same. Some car manufacturers and conservative groups want the EPA to roll back federal controls on greenhouse-gas emissions from vehicles, arguing for a single emission standard set by the federal government. That makes the question of whether California’s waiver survives still more critical nationally. What Happens if the Trump Administration Moves Against the Waiver? California officials have vowed to fight to preserve the state’s waiver. The Trump administration would have a tough fight legally if it tries to revoke California’s waiver outright, especially since it’s stood for nearly a half-century, said Richard Frank, director of the California Environmental Law and Policy Center at the University of California, Davis. California would have “somewhat less of a powerful argument” legally, however, if the Trump administration refuses to renew the waiver the next time the state comes before the EPA with a plan to tighten state emissions rules, Frank said. President George W. Bush’s administration made its own move against California’s unique say on emissions standards in 2007, for the first time denying California its waiver. Before courts could decide the matter conclusively, the Obama administration reversed that waiver denial in 2009.